There are good books about Peyronie's disease available, as well as some not so good. 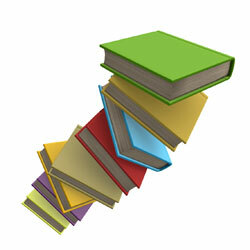 Now a day, some consider books unnecessary, because you can get all this free information on-line. Sure enough, you can find lot of free information on the internet but for some it can be tiring to read long text from a computer screen. Another benefit of a book is that it is organized in chapters so you are less likely to miss some valuable information. Though I have tried to organize this website into sections (like books are) in order to make sure you, my reader, will not miss any vital information about PD, i.e. you can read through this website like a book, starting at the top. Additional benefit of books is that you can take them with you anywhere. There is no need for on-line access (though e-readers like Kindle readers are making e-books more accessible where ever you are). Some men therefore still choose to read hard copies, in addition to searching for information on-line. For your convenience, I have selected few books that I feel may be beneficial read for men with Peyronie's disease. You will find number of other books about Peyronie's disease for sale, e.g. on Amazon. However, before buying, always do your own research. What Peyronie's credentials does the author have, i.e. what makes him a specialist in treating Peyronie's disease? Can the sale statements be verified? For example, if it is stated that “Mr. X is the first recorded successful patient to fully recover from Peyronie's disease”, you should be able to find out by whom this was recorded and how and when. If you can't, then this statement is at best useless. Do you believe all the reviews to be genuine? Positive reviews can of course be genuine, it happens all the time. However, alarms bells might be sounding if they are too many in too short time (not least if people claim to be cured shortly after the book was first published) and written mainly by people that have not reviewed anything else. Remember, there is currently no cure for Peyronie's, only treatment options. Therefore, if someone promises you a cure, I would be very skeptical. Books about Peyronie's disease should be informative and guide you, i.e. so you can take your own informed decision about your Peyronie's treatment plan. I consider those books about Peyronie's or related subjects (like erectile dysfunction), to fulfill the above criteria, i.e. to give informative guidance. I have personally not read them all but I have researched the authors and read the reviews. The above selection of books is what I would consider reputable books on the subject. There are more books available of course, but I suggest you verify the credentials of them before buying. › What Is Peyronie's Disease? If you have read any books about Peyronie's (those mentioned above or others), please get in touch with me and tell me what you think. Was the information useful for you? Do you recommend them and if so, why?